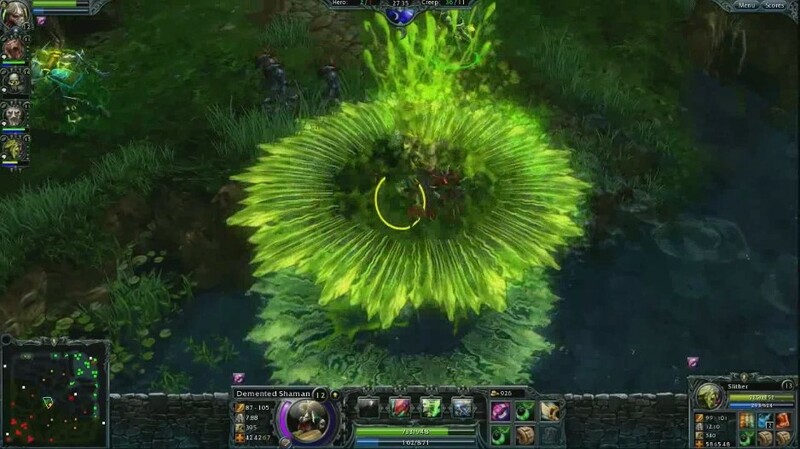 I bought Heroes of Newerth during its $10 special this last weekend. As I’ve always said, it has superior graphics, artistic design and sound to League of Legends, but my one and only game last Friday night infuriated me to no end. First of all the front end menus (regardless how pretty) are far too complicated and over-engineered, to the point that SIMPLE tasks like closing out of the shop menu are so incredibly obtuse you may flail during the champion selection process and end up getting stuck with a random champion. I still don’t know how I got out of the shop while queuing for a game, but I was really pissed that I got randomed a very crappy, unpopular champion. But the fun didn’t end there; it actually started before. 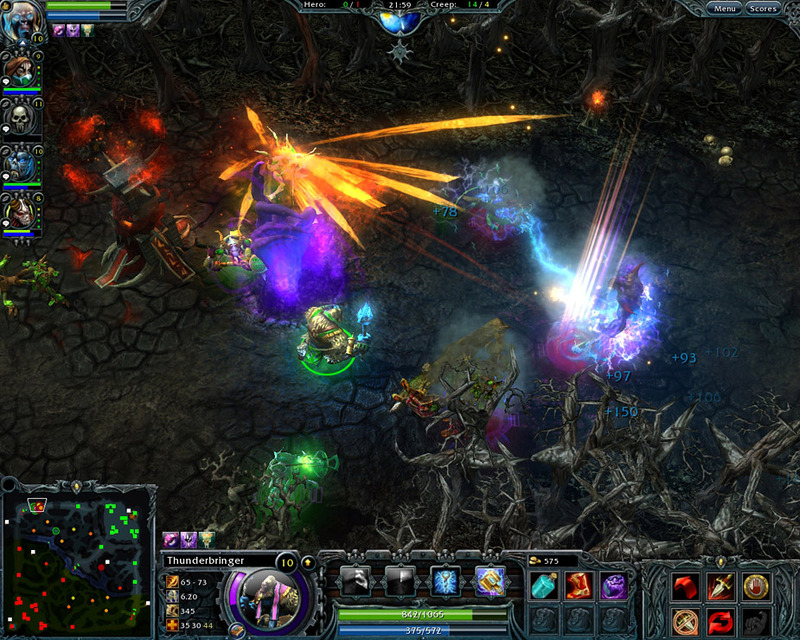 Ah, Heroes of Newerth… So much pretty; so much FAIL. I played through the tutorial first, and it’s broken! Midway through a segment talking about the store, you’re tasked with moving an item from your “stash,” which is a holding spot for items that you can only access near stores, into your actual inventory bag. There’s a couple ways to do so– control+right click or just right click, slide to inventory and click again. Neither way was recognized by the game no matter how many times I did it. I was stuck at this step and would have to quit out of the tutorial (leave “the game” as it was put) and jump back in at the spot after the store segment to proceed. Then when I got to the combat portion of the tutorial, I should have known to just stop. Initially, my keyboard keys for my champion’s special abilities (Q, W, E, R) activated said abilities. Then, at some point during the tutorial, they stopped working. I was forced to click on the icons on the screen, and then click my target, which in a game like this is deadly. Things go too fast for you to be mouse-only controls. Yet I still charged into a real game using matchmaking, just like the fool I am. The thing is…? The ability keys STILL didn’t work in the real game. I had to click the icons to activate abilities. (Amusingly, I could still hit “enter” and freely type whatever I wanted in the chat box to my teammates, which I did to let them know things were broken, to which they didn’t respond.) And better yet, the STORE didn’t work! The store, also over-engineered, has 8 different sub menus. I could pull up the main store menu, but clicking the sub-menu icons (to get to, you know, the actual ITEMS to buy) never worked. So I played the entire game (which was a miserable 40 minute slog) without a single health potion, speed enhancing item or improvement to my attacks. Needless to say, I was ganked and killed over and over and over, and, by the end of the game, I had over 10,000 gold that I never got to spend (a surprising amount since HoN takes gold away from you every time you’re killed). Also? Still not liking the lack of a “warp to base” ability, which LoL includes with a moderate cool down. This “design decision,” while true to the original Defense of the Ancients, today feels like an archaic oversight that slows the game down. I don’t want to have to spend hard-earned gold on a one-time-use warp scroll versus putting money into my character’s items and armor. The positive side is that even though I was totally sucking with my gimped UI, I was never yelled at once. In fact my teammates yelled at our opponents for killing me over and over because somehow they could check my player record and saw it was my first game (buried somewhere under some obscure 2×2 pixel or five-layers-deep menu, I’m sure). They were very friendly and “professional” for lack of a better word. No whining or critiquing– I was extremely surprised. The best part was at the end, on the overly detailed (surprise) battle summary screen. Normally there’s an obvious way to get out of a screen like this, because the game’s over, right? Let’s get into a new match or back to the main menu. But no, with the way the screen is crowded with hundreds of buttons and numbers, good luck figuring out what to do (especially since the tutorial doesn’t cover it). So I clicked the red X button in the top right corner (which is how I got out of some other menus before), and I was asked if I really wanted to leave, and yes, duh, the game’s over I want to leave… and after closing, the game yelled at me “RA-RA-RA-RA-RAAAAAAGE QUIT!” W… T… F?! The game was over and we were on the battle summary screen. There was nothing more to play. And I get a “quit/leaver” assigned to my record just by trying to leave the stupid battle summary screen. What morons designed this POS? I spent a subsequent hour trying to search Google and HoN‘s poorly cultivated “tech support” forums, hoping to at least find a solution for the broken keyboard antics. I found a single thread complaining about the exact same issue (ability keys and store don’t work), from a day earlier. No response. With a huge promotional weekend where your game is 66% off, you’d think that S2 Games would A) not have a buggy-as-hell experience (over a year and a half since this thing was in beta! and the tutorial’s BROKEN!) and B) would be right on top of major game-breaking bugs. But nope… this is what you get in a game that’s NOT free to play. What the hell? I mentioned HoN to our LoL aficionado friend Phil, and he’s gotten into it, but I’m not sure if he had the problems I did. I know that I’d love to get better at HoN– there’s a lot to like once you get past the over-engineered learning curve and interface; I’m certain of it. But I need to take a week off before I try this crap again. I’m amazed that the user experience is still so rough in this game. What is S2 thinking?